GalerÍas PacÍfico - located at the intersection of Florida Street and Córdoba Avenue. The Beaux Arts building was designed by the architects Emilio Agrelo and Roland Le Vacher in 1889 to accommodate a shop called the Argentine Bon Marché, modelled on the Le Bon Marché in Paris. 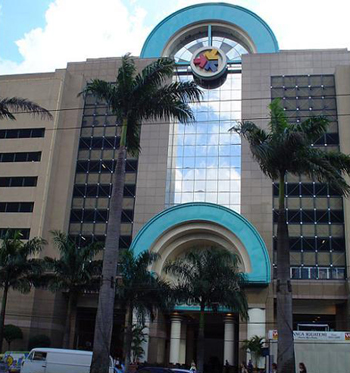 In 1989 it was declared a national historic monument. 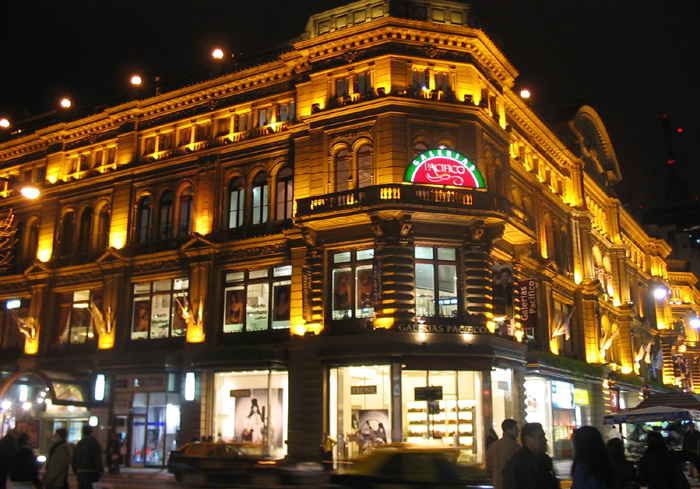 Currently the mall houses many high-end stores, such as Polo Ralph Lauren, Christian Lacroix, Christian Dior, Lacoste, Tommy Hilfiger, Hugo Boss, and La Martina, among others. HARRODS BUENOS AIRES - founded in 1914. Formerly a branch of Harrods of London. DASLU - Avenida Juscelino Kubitschek, 2041, Vila Olimpia & Avenida Magalhães de Castro, 1200, Cidade Jardim. Posh multi-brand boutique-department store known as the "fashion designers mecca" of Brazil as it houses more than 60 labels plus 30 store-in-stores and is the place where Brazilian socialites shop for the latest accessories and clothing. IGUATEMI - Avenida Brigadeiro Faria Lima, 2232, Jardim Paulistano. Opened in 1966. The Iguatemi São Paulo shopping centre is the oldest Brazilian mall in operation. 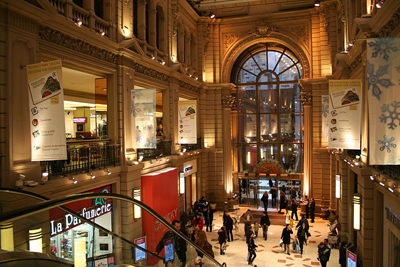 FALABELLA - the oldest department store in Chile. Falabella department stores can be found in Argentina, Chile, Colombia and Peru. Falabella Department stores sell a wide variety of merchandise including apparel, home furnishings, electronics and sporting goods. 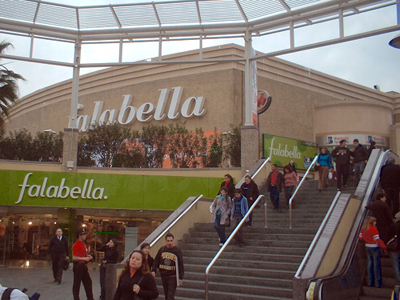 Falabella is a multi-channel retailer selling by web, phone, catalog, and television. There are as of 2010 39 locations in Chile, 15 in Peru, 10 in Argentina, and 9 in Colombia.